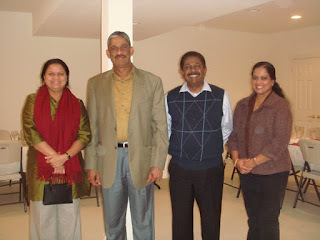 (October 31, Washington, Sri Lanka Guardian) We reported in our earlier news about the visit of General Sarath Fonseka to Washington and that the Sri Lanka envoy to the US Jaliya Wickramasinghe was absent in the special religious function held at the Washington Buddhist temple. Our correspondent in Washington now confirmed that the Ambassador was out of state attending another pre arranged event on the day of the function at the temple and had a special dinner for the General and his wife at his Deputy Chief of Mission’s residence later. General Fonseka was informed by the Ambassador in advance of his inability to participate at the event of the Buddhist Vihara as the Ambassador was out of state attending another event which was scheduled earlier. It was not an issue as indicated in some media, since both of them were aware of the situation, as they were in touch and planning arrangements. In his absence, the Ambassador instructed his Deputy Chief of the Mission and the embassy staff to attend the event at the Buddhist Vihara in Washington DC and to provide whatever assistance. According to our correspondent in Washington, “prior to his arrival in New York, on the instructions of Ambassador Wickramasuriya, all appropriate airport courtesies including immigration and custom clearance enabling his smooth entry into the United States were arranged”. “On his arrival in Washington DC, General Fonseka was received at the Airport by Deputy Chief of Mission and Defense Attaché. And also, General Fonseka and the delegation were provided the logistical facilities,” our source added. Throughout the following day (Oct. 26) until his departure from Washington DC, Ambassador Wickramasuriya accompanied General Fonseka for the official meetings, our correspondent in Washington said. Special lunch was hosted by the Ambassador for Gen. Fonseka and the delegation at the Ambassador’s residence before his departure. Understand that during the visit of General Fonseka to Washington DC, as Chief of Defence of Staff, he was provided by this Embassy appropriate facilities. “There was no problems or misunderstandings whatsoever among the parties like some trying to highlight,” a source in the Ministry of Foreign Affairs in Colombo told the Sri Lanka Guardian.